Premier Dealer Rule 5 Bikes are presenting the perfect antidote to the end of summer; by introducing Brighton’s ‘Summer Send Off’. 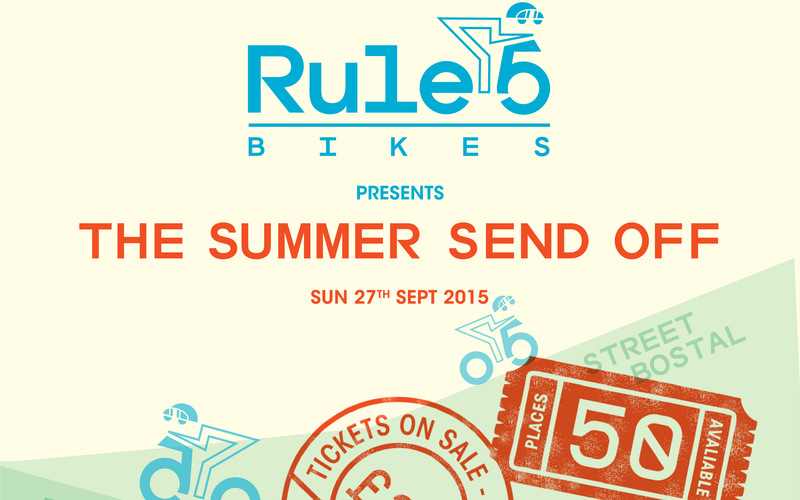 To celebrate the end of the summer season and the shop’s second anniversary, we’ve planned a ride. Taking you on a route around some of our favourite roads and byways outside of Brighton. Follow the prescribed 100km route or make up your own. The only thing to do is make sure you hit the checkpoints and get your brevet card marked. Finish the ride and back to the shop for beers and a BBQ. You’ll be given a brevet card, which will contain the suggested route and location of checkpoints. You will need to get the brevet card authenticated at each checkpoint. You will need to reach each point within a time limit but this does NOT make it a race. If you know the way, make up your own route to get to each checkpoint or follow our suggested directions. To add some bonus challenges there’ll be beer tokens for climbs and off road sections. 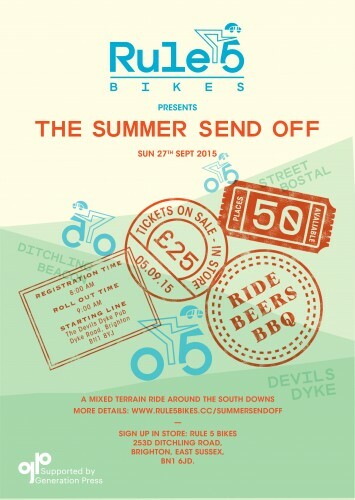 Head out from Devils Dyke on a mixture of tarmac,downlands and chalk, on a road bike sprint climbs and cruise decents, on a mountain bike plod the flat and shred the downhill. There’s time for either. Stop at the checkpoints for a break and a coffee/cake/gin. Return to the shop for beers and BBQ. On presentation of your completed brevet card, you’ll get a commemorative patch and a beer token. 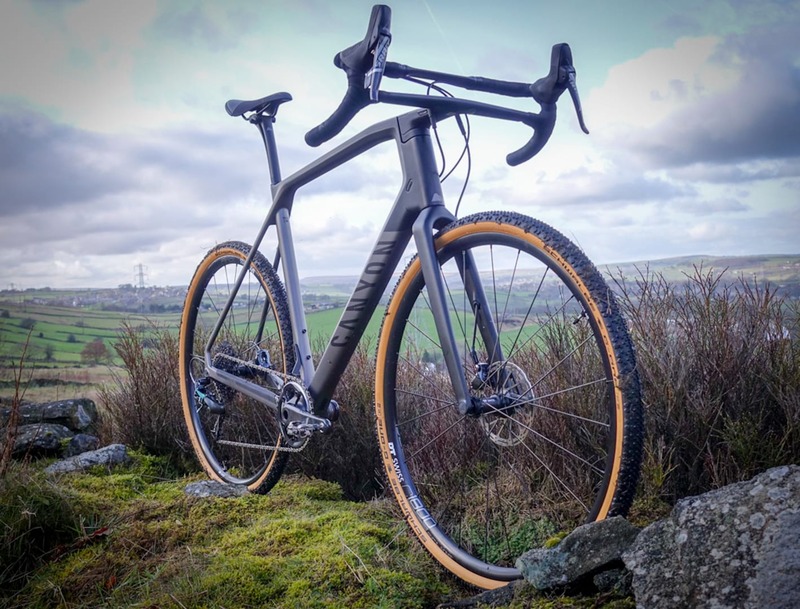 A bike – no bike will be the right choice, with off road sections thrown in to spice up the ride, perhaps a fast tyre fitted mtb or your do everything ‘cross bike? 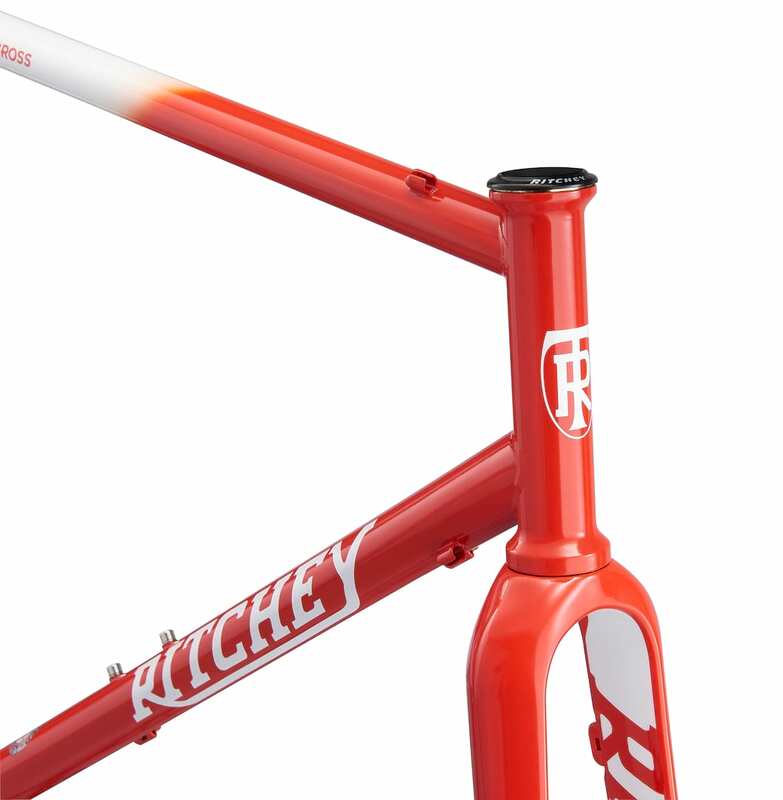 Or chance it on ‘Gnar’mac ready road bike with 25c tyres? But perhaps leave the tubulars at home. A map (we’ve used Explorer OL122) or GPS Device – The route will be available to download but go analogue use our route suggestions and a map. Tubes and puncture repair gubbins – This is a “run what you brung” unsupported ride. If you’re going to rip the on the Downs, don’t blame us for pinch flats.